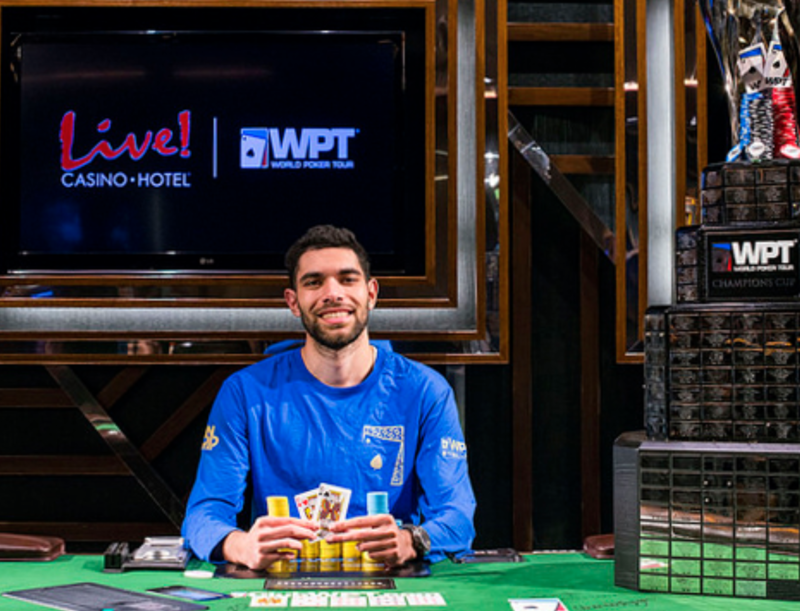 Art Papazyan Wins 2 WPT Titles In Five Weeks! Posted on Thursday, October 05, 2017 by "T". 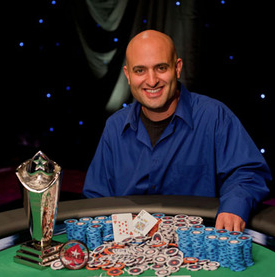 On Wednesday, Art Papazyan emerged as the champion in the World Poker Tour Maryland Live! Main Event for $389,405 thanks to defeating a field of 561 players! This is Papazyan's second WPT Main Event title in just over 1 month, after defeating 14-time WSOP bracelet winner Phil Hellmuth heads-up in the WPT Legend of Poker Main Event in August. 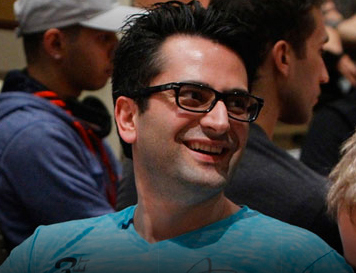 Read more » Art Papazyan Wins 2 WPT Titles In Five Weeks! Posted on Monday, February 06, 2017 by "T". Atlanta poker pro Daniel Weinmann won his first World Poker Tour title last Friday (on his birthday) after outlasting a record-field of 1,312 entries in the Season XV WPT Borgata Winter Poker Open $3,500 Championship to win $892,433 and a $15,000 seat into the season-ending WPT Tournament of Champions . WPT Baden: Bodo Sbrzesny Is At It Again! Posted on Friday, February 22, 2013 by "T". The main event of World Poker Tour Baden is down to 44 players after 2 days of play. German poker pro Bodo Sbrzesny, who finished third in WPT Prague a few months ago, leads the remaining squad of players into Day 3 with 403,000 chips (20k more than his fellow countryman Vishal Pundjabi). 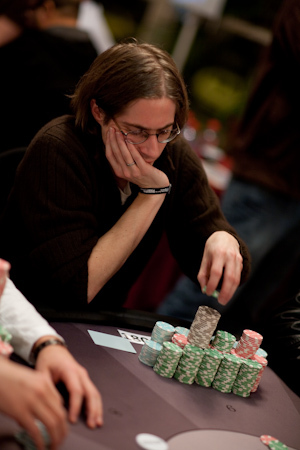 Another German with plenty of chips is Marvin Rettenmaier (248,500 - ranked 10). Besides Rettenmaier, the biggest names left in the tournament are Kara Scott, Paul Berende and Martin Stazsko. Day 3 starts at 14:00 (CET) with the blinds 1,200-2,400, 400 ante, and the final table will be played on Sunday. 27 of the remaining players will get a piece of the prize pool (minimum cash of $8,634 and the winner will take home $271,258). Check back on Monday for a recap of how the final table played out. WPT Lucky Hearts Poker Open: Matt Giannetti Wins His Second WPT Title! Posted on Wednesday, February 13, 2013 by "T". 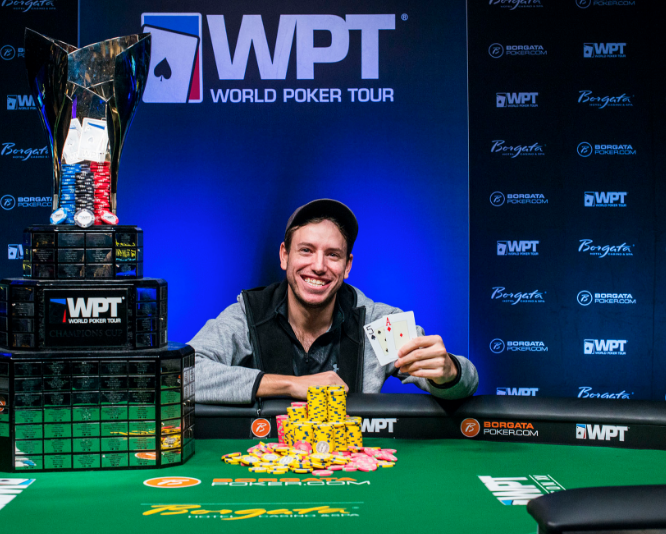 After 5 days of play, Matt Giannetti was crowned the champion of the World Poker Tour Lucky Hearts Poker Open at the Seminole Hard Rock Hotel and Casino in Hollywood, Florida. Giannetti, who won the 2012 WPT Malta Main Event, brought the largest stack to the final table and remained in the lead from start to finish. Besides that it only took him 6 hands to defeat Lily Kiletto heads-up. 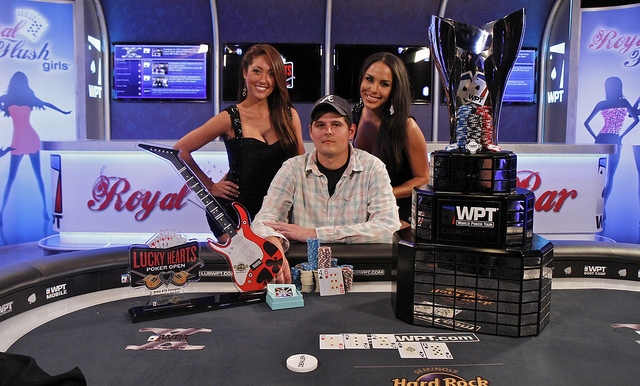 Read more » WPT Lucky Hearts Poker Open: Matt Giannetti Wins His Second WPT Title! Posted on Monday, December 10, 2012 by "T". 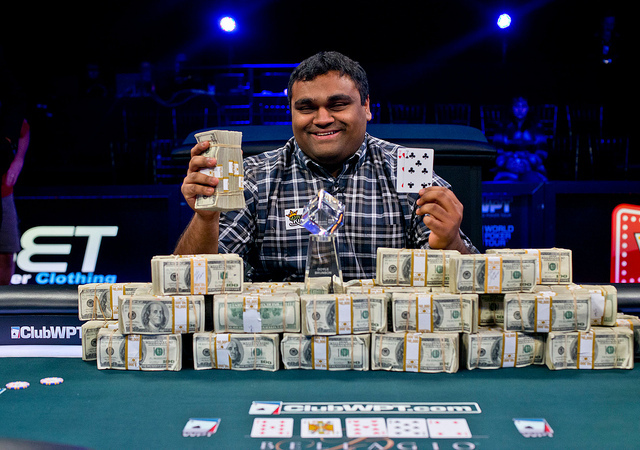 Ravi Raghavan is the newest member of the World Poker Tour (WPT) Champions Club after besting a field of 503-players at the WPT Doyle Brunson Five Diamond World Poker Classic. Raghavan went from being the short-stack to the only stack on the final table, which included amazing players such as Antonio Esfandiari, who won this event in Season IX, Andrew Lichtenberger who made it to the final in this event in Season X and WPT Champions Club member Shawn Buchanan! The third day at the World Poker Tour Five Diamond World Poker Classic came to a close with 60 players and Antonio "The Magician" Esfandiari as the chip leader (918,500). 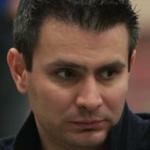 Esfandiari won this tournament 2 years ago and finished 6th last year. 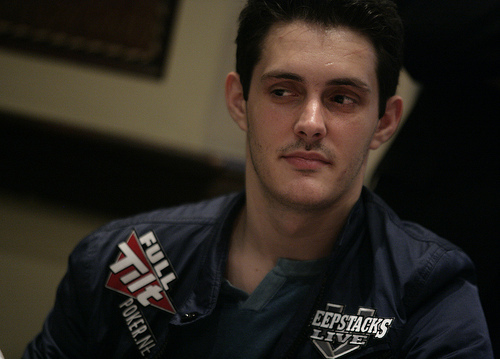 Now he has about 300k chips more than his closest opponent, Freddy Deeb, and more than 3 times the average stack. In other words, he has a fantastic chance of winning a second title! Posted on Friday, November 30, 2012 by "T". Day 3 of the World Poker Tour Mazagan (Morocco) main event is running at the moment and there are 20 players left out of 146. 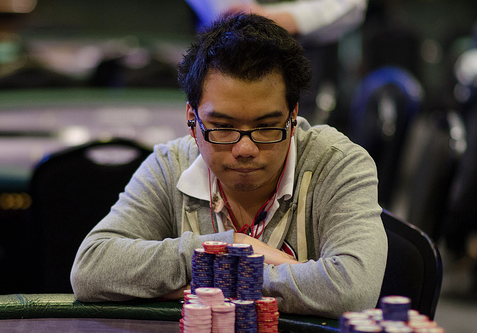 The average stack is 219,000 and the chip leader is Frederic Brunet with 360,500 chips. Gaelle Baumann, who finished 10th in the 2012 WSOP main event, was eliminated a while ago, but there are still some familiar faces left with the chance of winning the first prize of $168,207! Just to mention 3 of them: Champions Club Members Davidi Kitai and Guillaume Darcourt, and the winner of the 2011 WSOP HORSE Championship ($609,130): Fabrice Soulier. 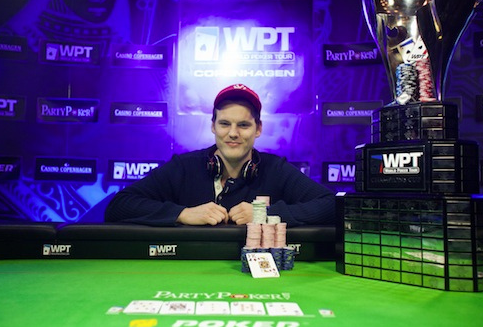 After 5 days of poker Emil Olsson was crowned the champion of the 2012 WPT Copenhagen Main Event. 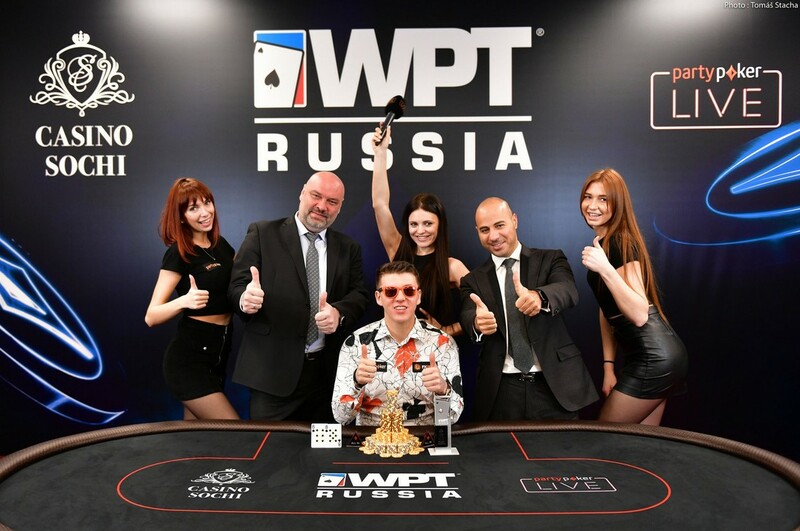 The Swedish youngster bested a field of 229 players and defeated Morten Klein from Norway heads-up to become the latest WPT Champions Club member. 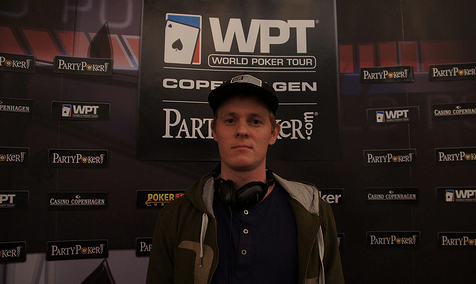 He received 1,200,000 DKK ($229,938) and a $25k seat in the WPT Championship at the Bellagio. WPT Copenhagen: 18 Players Remain. New Chip Leader! The final table of the 2012 WPT Copenhagen Main Event is not far away now as only 18 players remain. 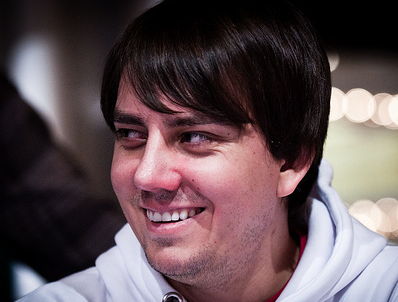 Stanislav Barshak (picture), from the U.S., is the current chip leader with 830,000 chips and Frei Dilling Kjaer, the Day 3 chip leader, is ranked 3rd with 691,000 chips. 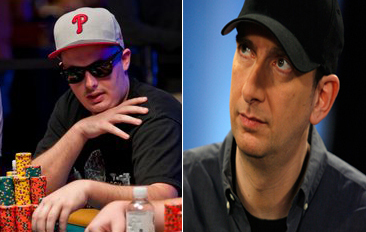 Barshak and Kjaer will be joined by the likes of Peter Jepson and WPT National Series Denmark winner Steve O'Dwyer. Read more » WPT Copenhagen: 18 Players Remain. New Chip Leader! Day 2 of the PartyPoker sponsored WPT Copenhagen is in the books with 45 survivors. During the last stages of Day 2 the battle for the chip lead was between these players: Steve O'Dwyer, Sergii Baranov, Peter Jepson and Frie Dilling Kjaer. All four players took turns at holding the lead, but at the end of the day it was Frei Dilling Kjaer who had the biggest stack (445,500). Posted on Tuesday, November 13, 2012 by "T". The first day of the World Poker Tour Copenhagen Main event saw a field of 98 players and 56 of them made it through the day (7 levels of play). The chip leader at the end of Day 1a was Andre Petrovic, from Sweden, who managed to accumulate 220,400 chips and he led from start to finish. Day 1b begins in a few hours and, of course, a greater field of players is expected to show up today. Posted on Thursday, August 16, 2012 by "T". 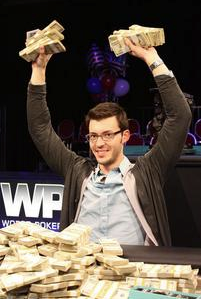 A big congratulations to Anthony Gregg on winnings World Poker Tour Parx Open Poker Classic. 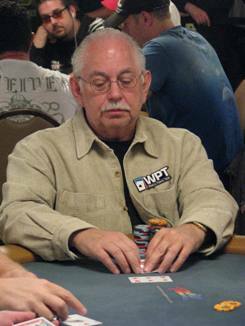 Gregg outlasted a field of 500 players that included many big names in the poker world. 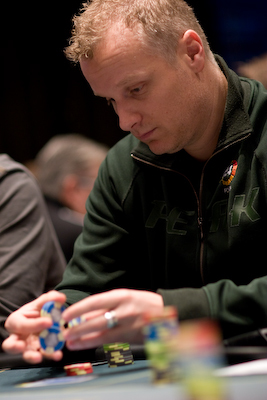 In the final hand Gregg limped for 250,000 and Stephen Reynolds moved all in for about 3.4 million. Gregg made the call with K[h]9[d] and Reynolds showed A[d]4[h] and needed to hold to stay alive. L.A. Poker Classic: The Final Table is set! Posted on Wednesday, February 29, 2012 by "T". The final table begins at 4:00 PT and there will be a live stream on WPT's website. The winner will take home amazing $1,370,240 and the second place pays $806k. But all the finalists are guaranteed to get at least $202,910 each - could easily be the first place prize in any major tournament. Posted on Wednesday, February 15, 2012 by "T". 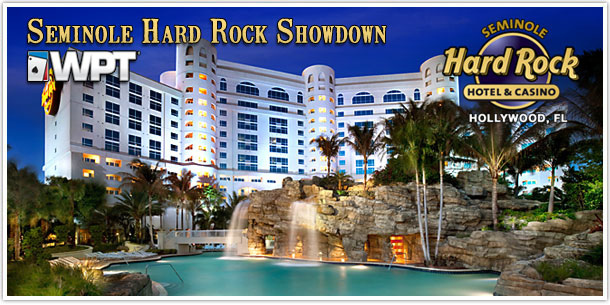 The World Poker Tour Seminole Hard Rock Lucky Hearts Poker Open (is it only me, or are the tournament names getting longer and longer?) is now over and the main event couldn't have gotten a better winner! Matt Juttelstad from Florida, USA, only took part in the tournament because he was going to be in the Miami area for an interview at the Flroda Atlantic University. He entered Day 1A and busted, then re-entered on Day 1B after his interview had ended earlier that expected. Posted on Monday, December 12, 2011 by "T". The final table of Five Diamond World Poker Classic was probably one of the most interesting World Poker Tour final tables this year since both Antonio Esfandiari and Vanessa Selbst were on it. But unfortunately Esfandiari, who won the tournament last year had the chance to take home his 3rd WPT title, didn't do so well on the final table and was eliminated already in 6th place. Selbst did better though and she was doing well until there were only 3 players left. Then everything came to an end when she lost an all in with K9 versus James Dempsey's A9. Posted on Tuesday, November 01, 2011 by "T". The final table is set and today at 4:00 pm ET you will be able to follow the action (30-minute delay with hole cards and commentary) via the WPT Live Stream. When play begins in about 12 hours, there are about 5 minutes left in Level 21, and the blinds will then increase to 8k-16k with a 2k ante. Below is the official chip counts, with the big blinds calculated at 8k-16k. World Poker Finals: Jonathan Little closing in on his 3rd WPT title! Posted on Monday, October 31, 2011 by "T". 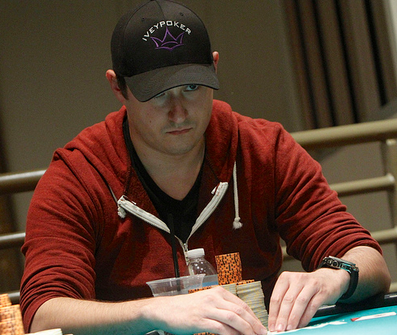 The World Poker Final, played at Foxwoods Resort Casino in Mashantucket, Connecticut, is now down to only 8 players after 4 days of play, and Jonathan Little is the player to keep an eye out for. Little has won both the WPT's Season VI Mirage Poker Showdown and Season VII Foxwoods World Poker Finals and the WPT Season VI Player of the Year Award. In other words, he now has the chance to capture his third WPT title! Below you can see who the 8 remaining players are and how many chips (and big blinds) they have left. 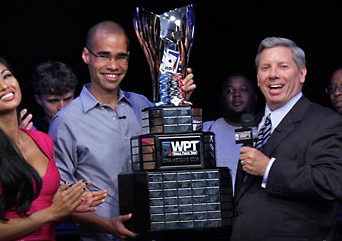 Read more » World Poker Finals: Jonathan Little closing in on his 3rd WPT title! Posted on Friday, March 04, 2011 by "T". Yesterday, the World Poker Tour L.A. Poker Classic final table was played. Carlos Mortensen, from Spain, had the chance to win his 4th title on the WPT tour and because of that many were cheering a little bit extra for him to win the tournament. He did very well on the final table, but unfortunately he was sent packing in 3rd place, which left Gregory Brooks and Vivek Rajkumar playing heads-up. It only took 31 hands before a short stacked Rajkumar was forced to move all-in to stay in the game. Rajkumar had Q[s]10[s] and Brooks Q[d]Q[c]. Brooks queens stood up to the river and gave him the win and the first place prize of $1,654,120. Rajkumar got $908,730 for his second place. Posted on Thursday, December 09, 2010 by "T". 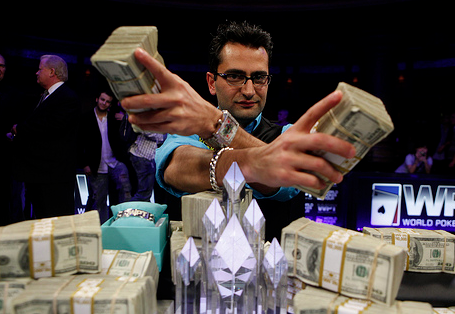 Antonio "The Magician" Esfandiari is the champion of WPT Five Diamond World Poker Classic after a very thrilling heads-up match against Andrew Robl. This is how the final hand was played out. 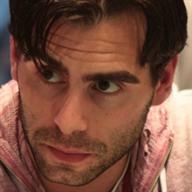 Esfandiari raised to 800,000, and Robl quickly moved all in. Esfandiari called straight away with K[c]J[d]. Robl showed Q[d]10[c]. Robl needed to win the pot to stay alive. Posted on Thursday, November 18, 2010 by "T". The NAPT (north american poker tour) Los Angeles Main Event final table included some really big names, and the big favorites to take home the tournament were Jason Mercier, Anh Van Nguyen and Michael Binger. But it wasn't any of them who took home the tournament. 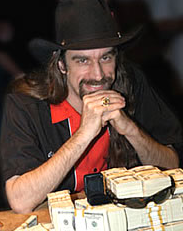 Instead it was the American poker pro Joe Tehan who laid hands on the $725k first prize. This is not Tehan's biggest win in his poker career. 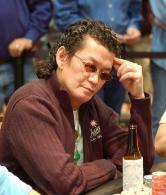 Back in 2006, he took down WPT Mandalay Poker Championship for about 1 million dollars. In total he has now won $3 million dollars in his poker career. Posted on Thursday, October 21, 2010 by "T". Randal Flowers, 22, is the youngest player ever to win multiple WPT titles after he won the WPT Festa al Lago Main Event this morning. What makes this even more impressing is that he did it within 2 months time and also because he knocked out 4 of 5 opponents on the final table. For the win of the WPT Festa al Lago Main event Flowers received the first place prize of $831,500! This is how the final hand was played out. Flowers raises to 333,000, and Benvenuti calls. The flop comes 9[s]6[c]5[s]. Benvenuti checks, Flowers bets 420,000. Benvenuti goes all in. Flowers thinks for a few seconds before he decides to call. It ended up being Phil Ivey, Justin "boostedJ" Smith and Moritz "Cattenatio" Kranich who were the 3 last players at the final table in World Poker Tour Bellagio Cup VI in Las Vegas. Phil Ivey doesn't need any presentation, but the other 2 might not be that familiar to many. 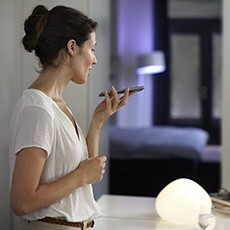 Both Smith and Kranich have been extremely successful online and live in the past few years. 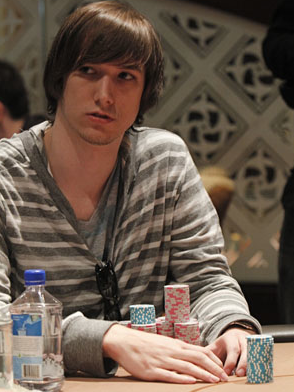 For example Smith ended up 3rd in last year's Bellagio Cup and Kranich took home this year's EPT Deauville. Anyhow, it came to be the german poker pro Kranich who took home the tournament after a long heads up against Justin Smith. For the win he received nothing less than $875,150. This is Moritz first WPT title. Posted on Friday, May 14, 2010 by "K". Lyle Berman tells about the success of his new business. 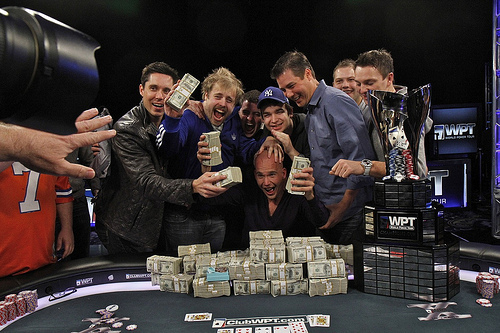 The World Poker Tour Enterprise sold its famous poker tour along with it poker-related resources to PartyGaming. They were left with $28 million in cash with a desire to make a new project. During that time, there were no public statements on the direction they are taking. However, Steve Lipscomb told Carol Player what the dissolved company plans to pursue and it involved something that is not in any way related to the poker industry. The look of the new project has become much clearer in less than a year and everything has been “so far, so good” for the World Poker Tour’s former owners. A special feature was published on the Los Angeles Business Journal this week and it featured Voyager and Gas which is an energy company based in Montana. This has become Lipscomb’s new project along with the other founders, Lyle and Brad Berman of World Poker Tour Enterprise. Posted on Thursday, May 13, 2010 by "K". There were 25 players who began day 4 of the World Poker Tour Grand Prix de Paris with the hopes of bagging the first prize which was worth €633,902. The day ended with eight players in the finals with each player being guaranteed of not lower than €70,000 along with their position in the event at the first WPT which will be televised by MatchRoom Sports. Theo Jorgensen led the way when the match had been decided during the early hours of the morning. Jorgensen did not waver all day and had his chip stack between 700,000 to 1,100,000 in the first 6 hours at the finals table. It was when the two tables joined that Jorgensen ensured the other players that the final bust-out of the night will not take more than 6 hours. Phil Hellmuth is getting closer to his first WPT Title! Posted on Friday, March 12, 2010 by "T". 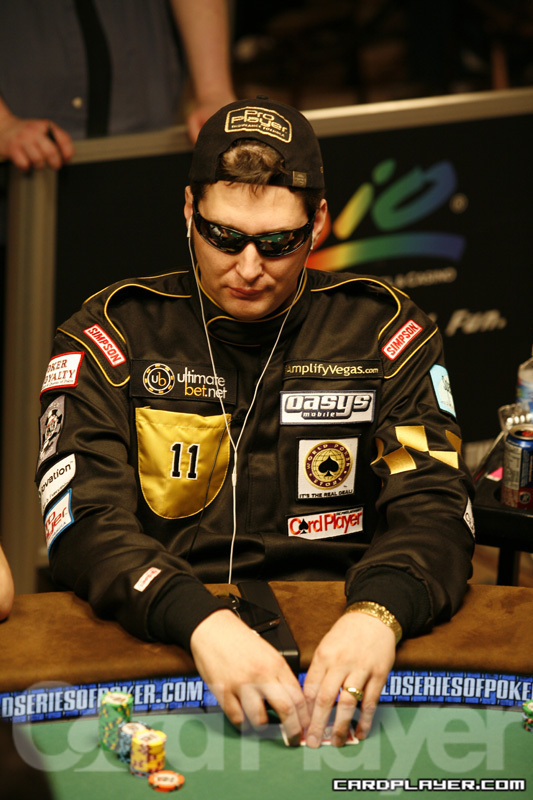 Phil Hellmuth has won and achieved almost everything a poker player can dream of. Just listen to this. 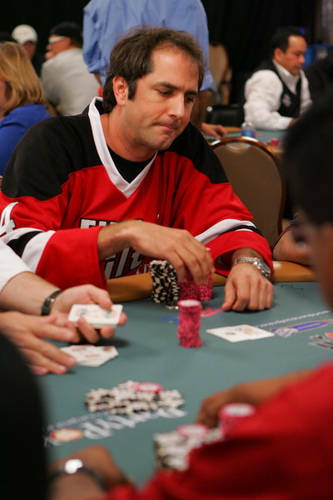 Phil has won 11 WSOP bracelets, reached the final table in many major poker tournaments, he has interests and is the face for one of the worlds most popular poker sites, Ulimate Bet. And last but not least, he was inducted into the Poker Hall of Fame 3 years ago. So what is left to achieve? Well, he has never won a WPT tournament and now he has a great chance to do so as he has made it to the final table of WPT Bay 101 Shooting Star together with 6 other players. Phil will bring 1,150,000 chips to the final table today, and only 2 players have accumulated more chips than him, Andy Seth (1,550,000) and Mclean Karr (1,225,000). However, Phil is the one with most routine and skill of the 7 remaining players. My money is on him! 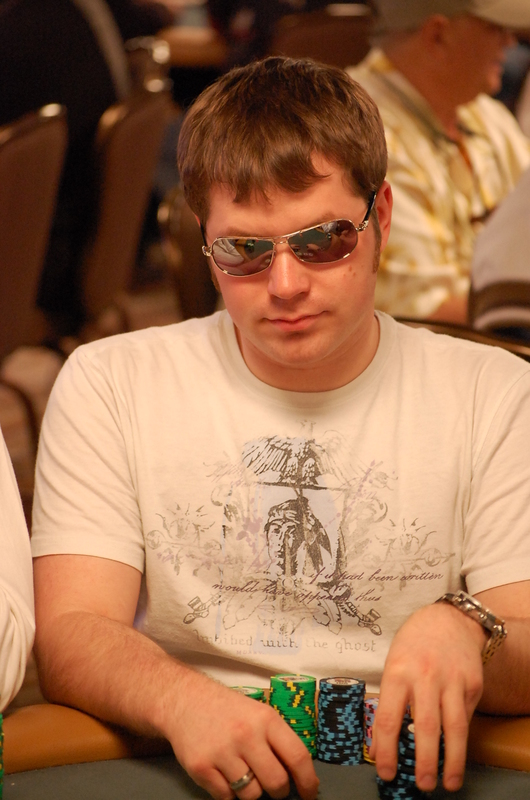 Andras Koroknai moved all in from the button, and Raymond Dolan called with Q[c] 4[h]. Koroknai flipped over Q[h] 8[h]. Posted on Wednesday, October 28, 2009 by "T". 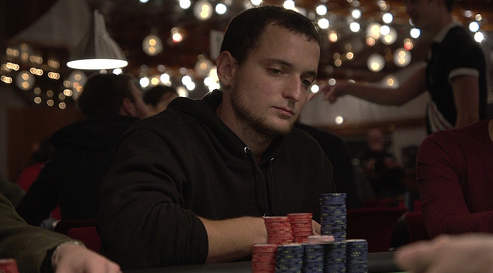 Tommy Vedes from New York had a really tough fight for the win on the final table. Many times he almost went out, but then got very lucky on the river. In one of the key pots that brought him to the top, he was all-in with A-10 versus A-J and got a 10 on the river. Down to heads-up Vedes had a massive chip lead with over 13 million chips against his final opponent Jason Lavellee's 2.5 million chips. This is how the final hand was played out (Blinds: 100,000/200,000 - Ante: 20,000). Lavellee moves all-in with 2,775,000, and Vedes quickly calls with K[d]Q[d]. Lavellee shows 8[h]6[h]. 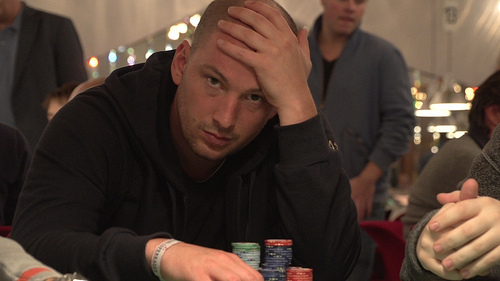 The flop comes A[d]9[s]5[c], and Lavellee picks up a gutshot straight draw. The turn card is Q[c]. At this point Lavellee only have four 7's that can give him the pot. The river card is a Q[s], and everything is over. Tommy Vedes received $1,218,225 for the win, and Jason Lavellee $795,150. Posted on Tuesday, October 27, 2009 by "T". Daniel Negreanu, the Canadian PokerStars PRO, have 3 big passions in life - Poker, golf and statistics. A few days ago one could read in his blog that he had made statistics over how much the most successful World Poker Tour players have made from the tournament. In the spreadsheet with the statistics, Daniel only included poker players who played a minimum of 30 WPT events so the information wouldn't be to misleading. 176 players qualified for his investigation. Here are the results. WPT Borgata - Final table: Greatest comeback ever? Posted on Friday, September 25, 2009 by "T". WPT Borgata attracted a huge starting field this year. Not so many notable poker players, but the tournament turned out great even though the most stars decided to play WSOPE in London instead. Of the huge starting field it came to be the 6 players below who made it to the final table. 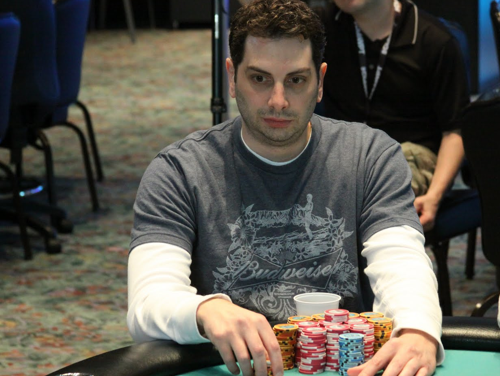 Olivier Busquet, from New York, had a big chip lead as the final table started. It was a very well deserved chip lead, and to be honest it seemed like nothing could stop him from grabbing the first prize of $925,514. 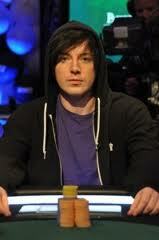 But the way to the win of WPT Borgata wasn't all that easy for the American. 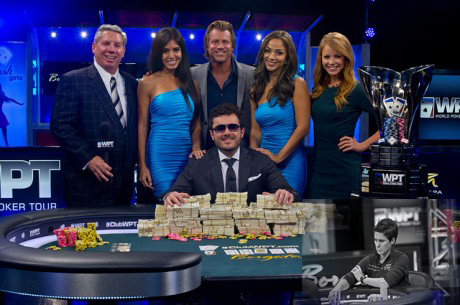 Read more » WPT Borgata - Final table: Greatest comeback ever? Posted on Thursday, September 24, 2009 by "T". World Poker Tour Borgata attracted a huge starting field this year. Maybe because of the low buy-in, or maybe because not so many stars decided to play this time. Many of the bigger names are instead playing World Series of Poker Europe in London at the moment. Whatever the reason might be for so many participants this time, the tournament is now down to the 6 players below who are going to play the final table. No notable names as you can see, but it will be a very entersting to see whether the big chip leader, Olivier Bisquet, from New York, can manage to keep the big lead and get another great result this year (311th place in 2009 WSOP Main Event). Posted on Friday, September 11, 2009 by "T". Posted on Thursday, September 10, 2009 by "T". Rep Porter, has a big chip lead at the moment with around 1.7 million chips. On second place is Jonathan Little with 940,00 chips, and on third place is Layne Flack with a bit less than 940,000 chips. Posted on Wednesday, September 09, 2009 by "T". 125 players made it to Day 2 of World Poker Tour in Cyprus. Of those 125, only 64%, or 55 players survived to Day 3 of the tournament. 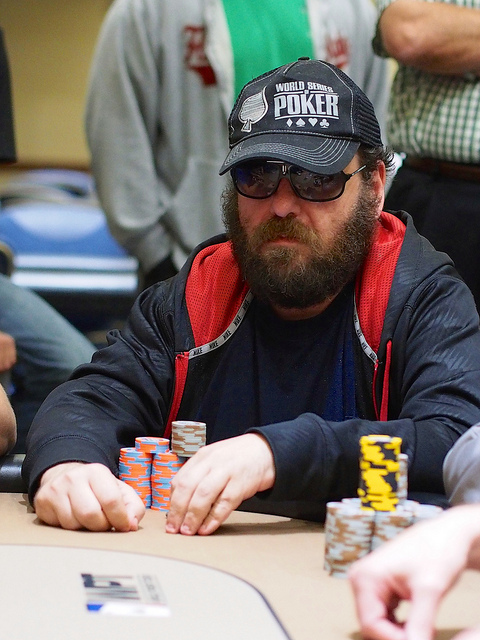 Among the survivors we find Full Tilt pros Allen Cunningham, Andy Bloch, Chris "Jesus" Ferguson, along with the overnight chip leader, Nenad Medic. Unforutunartly the 4 players (Phil Gordon, John Tabatabai, Jan Skampa and Ludovic Lacay) with the biggest stacks as Day 2 started, were sent packing. Day 3 of the tournament has now been running for a while now and at the moment there are only 47 players left. Nenad Medic is still the chip leader, he has around 360,000 chips at the moment. On second place and ninth place we find Full Tilt pros Roy Winston and Huck Seed. It will be very interesting to see if any of the big names will make it to the final table. Posted on Tuesday, September 08, 2009 by "T". Day 1b of World Poker Tour in Cyprus attracted a very interesting starting field which included lots of pros. For example: John Juanda, Phil Gordon, Howard Lederer, Chris Furguson, Gus Hansen, and Erik Lindgren. 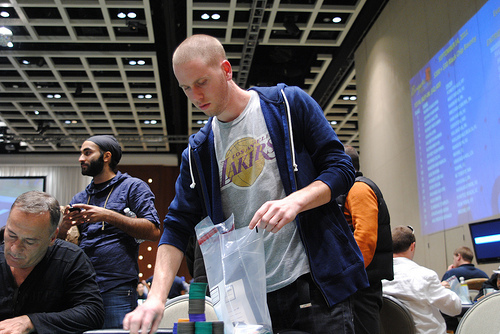 62 players made it through from Day 1b to Day 2. In the chip lead of Day 1b we find no one else than Team Full Tilt pro Phil Gordon with around 160,000 chips. Not far behind him is Jean Robert Bellande with around 155,000 chips. Posted on Monday, September 07, 2009 by "T". WPT (WORLD POKER TOUR) Cyprus (BUY-IN - US$10,000 + US$300) started yesterday and is now over. Only 91 players signed up for Day 1a, which are quite few players to be any starting day of a WPT event. But most probably the other starting day will make up for it. Anyhow, 63 out of 91 players made it through to Day 2 of the tournament. 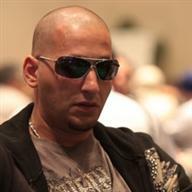 John Tabatabai, is the one that accumulated the most chips in Day 1a. He will bring around 170,000 chips to Day 2. But, even though John Tabatabai is the chip leader, it wasn't he who got the most attention in Day 1a.